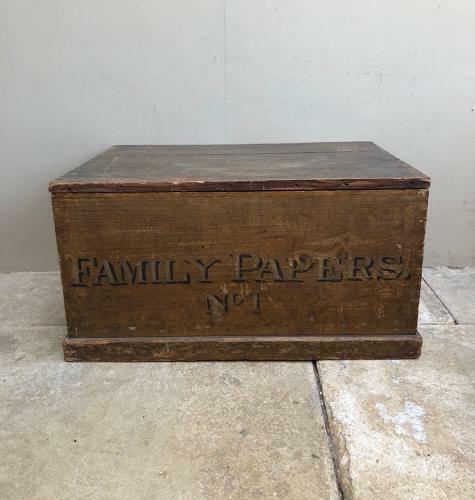 Just Lovely Victorian Pine Box in its Complete Original Paint and what a subject to the front "FAMILY PAPERS NO.1". Such a handy sized box. All good with no worm. Unwaxed and just as I found it. The inside of the lid has had wooden supports added just to hold it...all good. Base solid etc. See the many photographs.